Our subject for today is nylon, the wonder-plastic developed and first produced in the 1930’s by DuPont. Today, 16 February, is the day in 1937 that Dr Wallace Carothers, inventor and research chemist for DuPont, received the first patent for the new synthetic polymer fiber that came to be known as nylon. The new plastic fiber proved tremendously useful, and to this day is used in a wide range of applications, from industrial (screws and nuts, gears, bearings), to sports (fabrics, fishing line, racket strings), to entertainment (guitar strings), to domestic products (brush bristles, hosiery, carpeting) and many more. Nylon’s strength, flexibility and durability make it a popular material for 3D prototype printing. Nylon’s usefulness is the result of a combination of many advantageous properties – it is strong, flexible and durable, with excellent resistance to heat, chemicals, abrasion and wear. It is also resistant to fungi, mould and mildew. It’s flexibility and strength make nylon ideal for 3D printing applications. 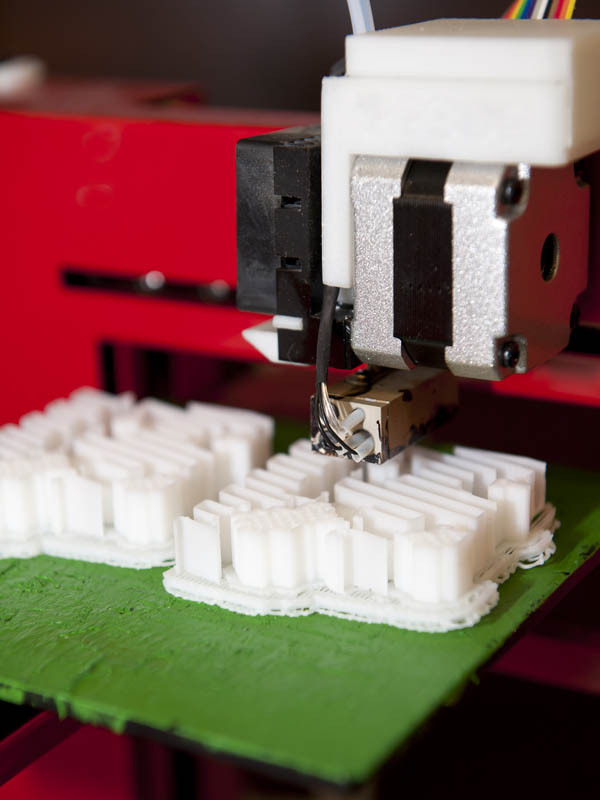 Complex gears, bearings etc can be printed using a 3D plastic printer – this is particularly useful for the production of strong, durable engineering prototypes. Of course few things in life are perfect, and along with all it’s positive attributes nylon does have some drawbacks. Producing nylon is an energy intensive activity, and it is rather difficult to recycle. Burning it produces hazardous smoke and toxic fumes often containing hydrogen cyanide, and if it’s dumped in the garbage it decays very slowly. Some nylon is recycled, often creating nylon pellets for industrial use, but this only accounts for a very small percentage of nylon produced annually. Despite the recycling downside, nylon has become a ubiquitous part of daily life – so much so that imagining a world without it is nigh impossible.